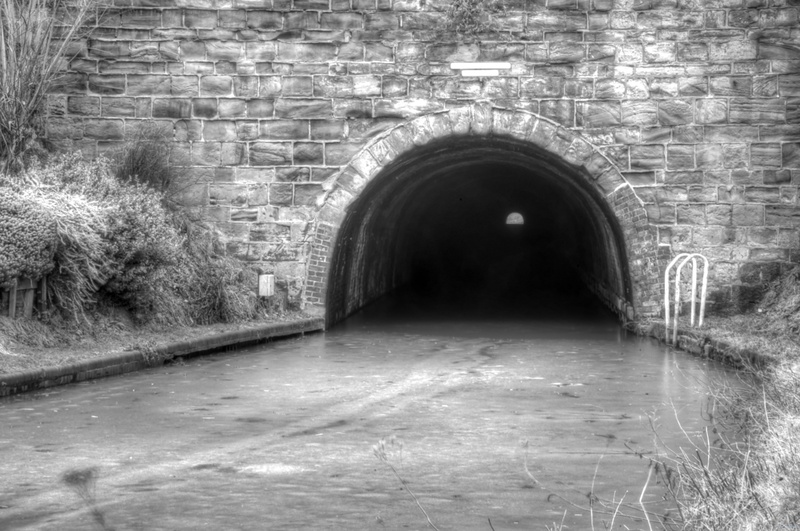 Still on the Worcester and Birmingham canal – this is Tardebigge tunnel, 580 yards long. That light you can see at the far end is half a kilometre away. Life is a challenge at the moment – but it is what you make it. When I arrived here at Tardebigge I looked at the tunnel and immediately thought of the title. Onwards and upwards. Despite the thaw, there was still a covering of dangerously thin ice on the canal, but it was clear nothing had traveled through the tunnel for days. The tunnel itself was completed sometime around 1807. Over 200 years old and still in use today.